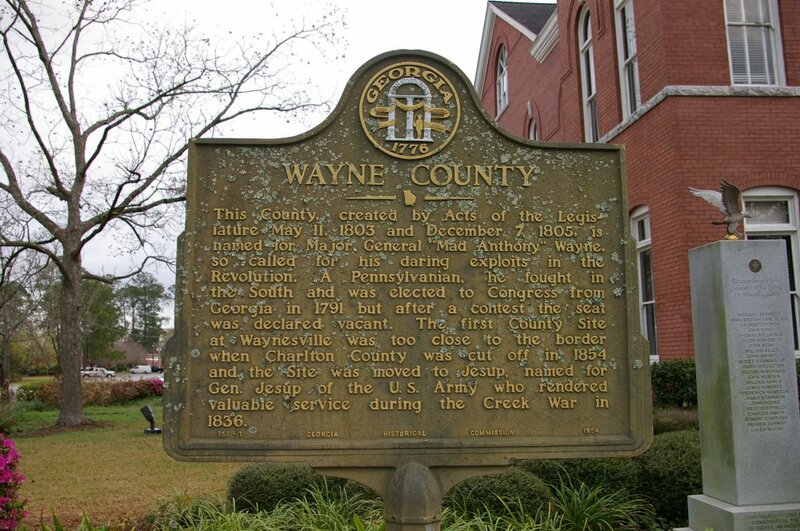 Wayne County is named for Anthony Wayne, who was a general in the American Revolutionary War, and who lived from 1745 to 1796. 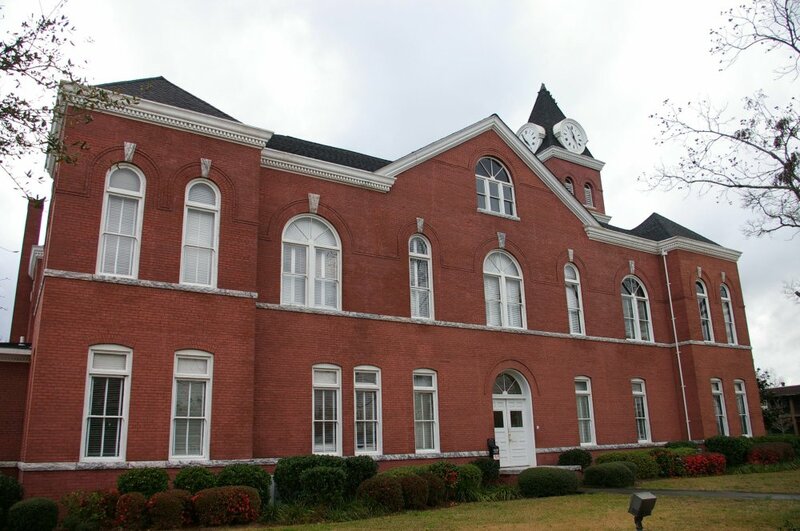 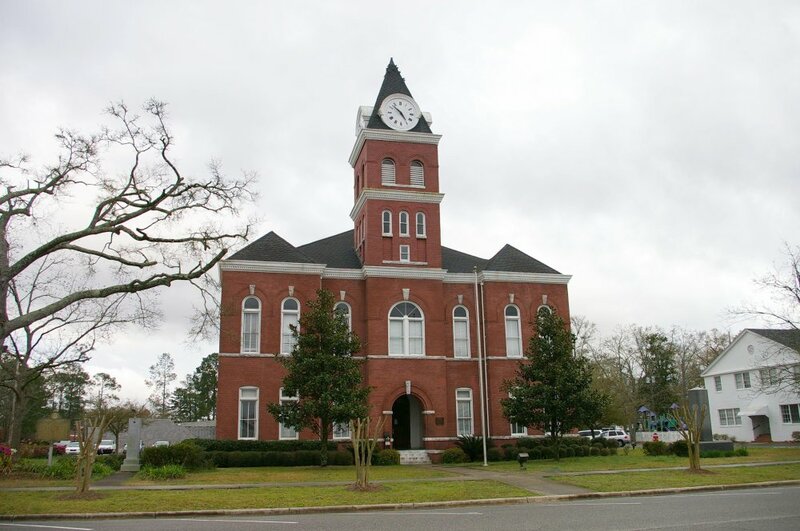 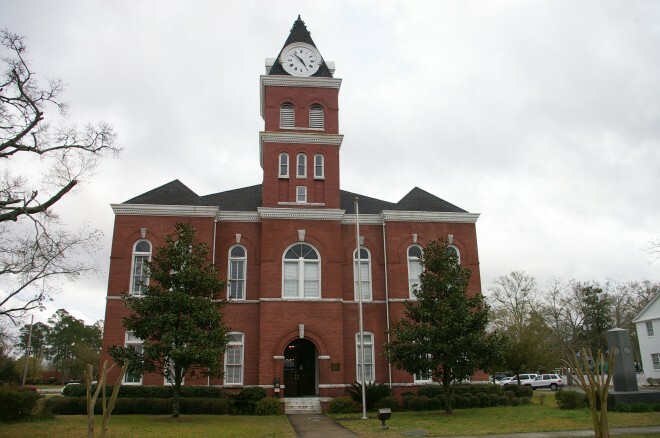 Description: The building faces northwest and is a two story red colored brick and stone structure. 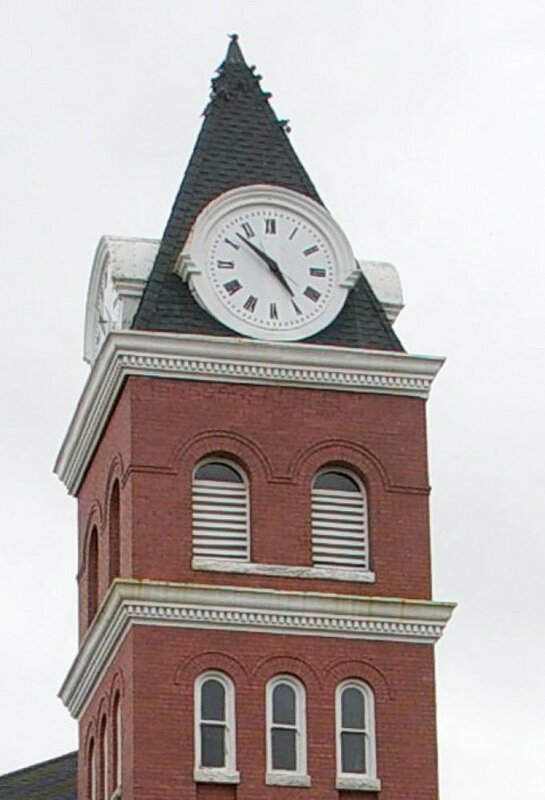 The building has a large red colored brick central tower rising four stories with a large clock at the roof. 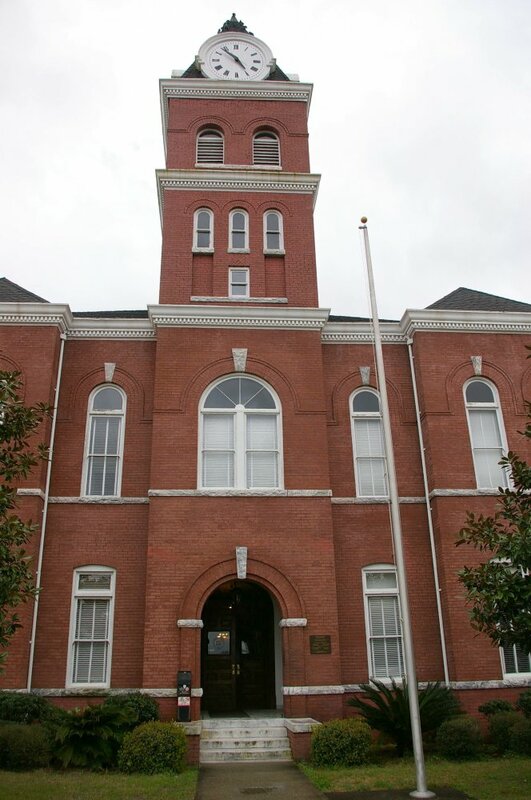 The windows are arched with a large window over the entrance. The north and south section project from the main building. 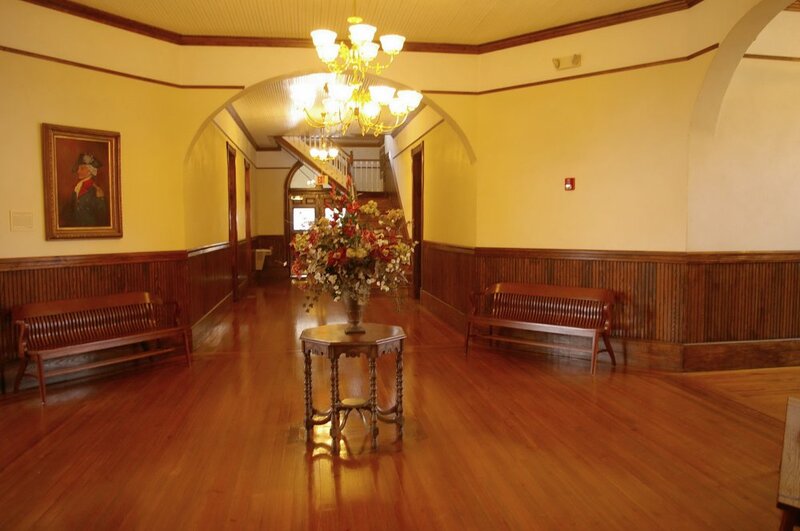 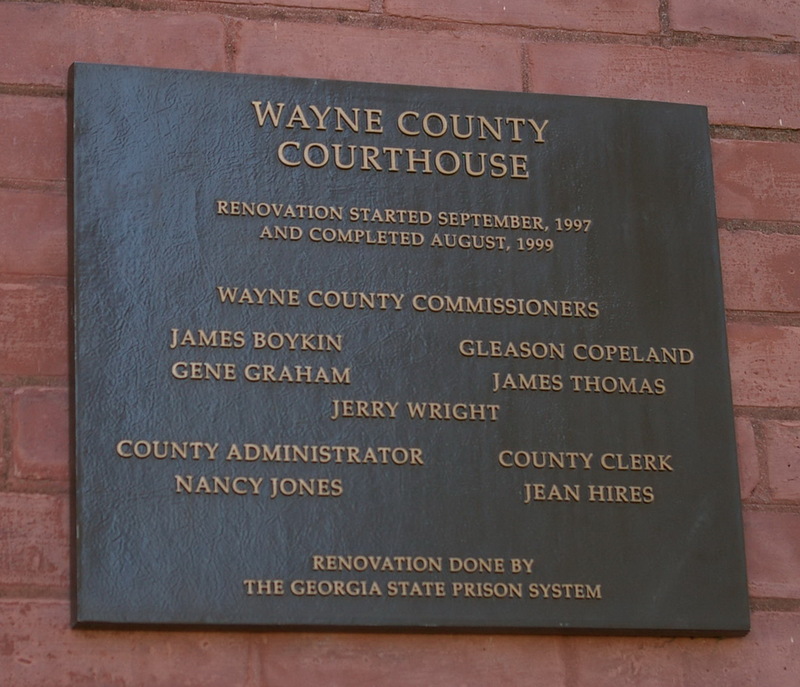 The building was renovated in 1997 to 1999 and the work was done by The Georgia State Prison System. 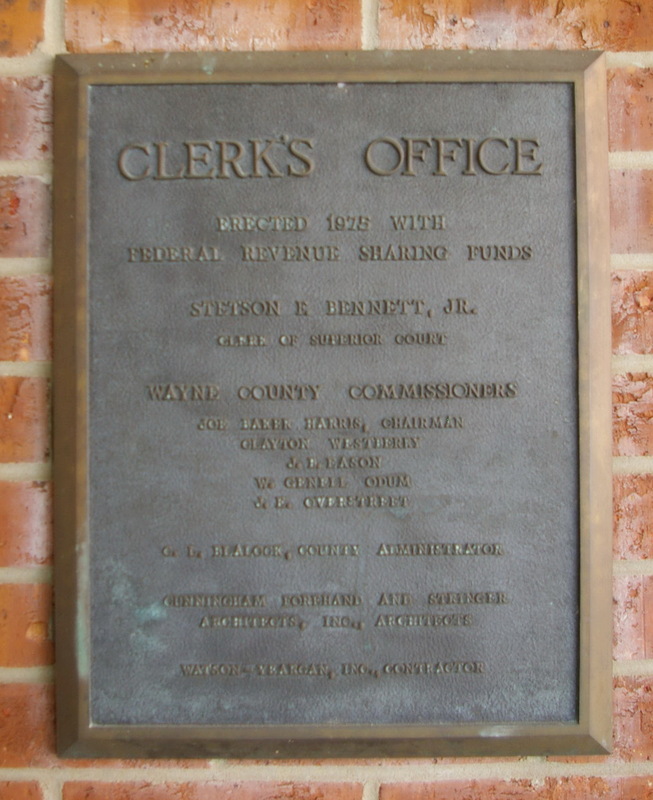 On the southeast side of the building is the Clerk’s Office constructed in 1975. 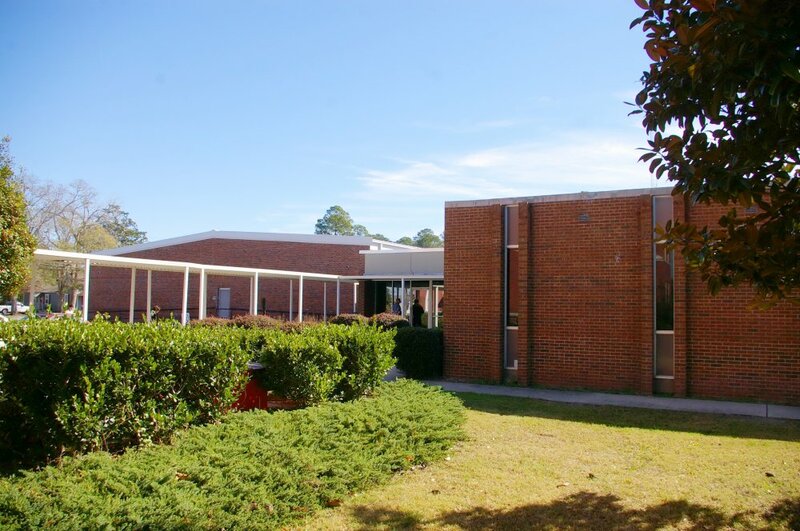 The architect was Cunningham, Forehand and Stringer and the contractor was Watson-Yeargan, Inc. 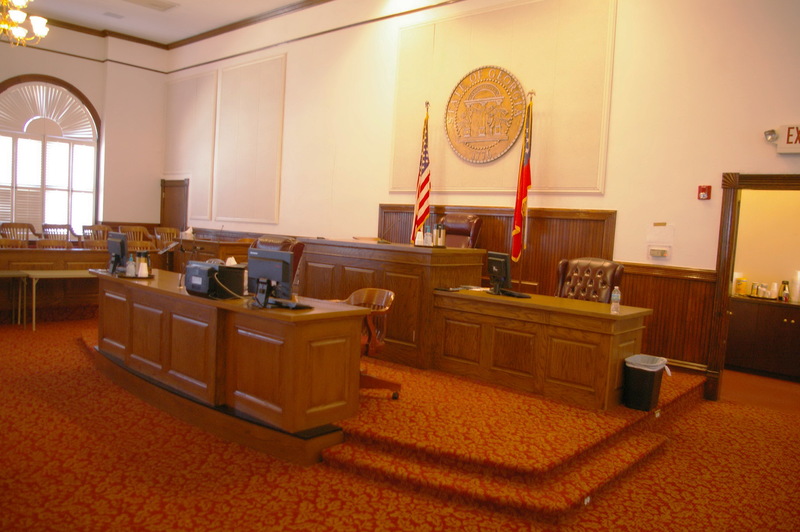 Note: James Wingfield Golucke & Company of Atlanta is presumed to have been the architect of the courthouse.